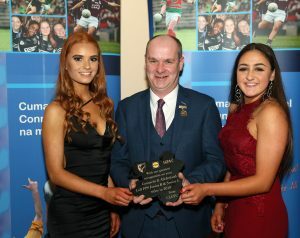 LAST Saturday night, Connacht LGFA held their annual awards night in the Dalton Inn in Claremorris. 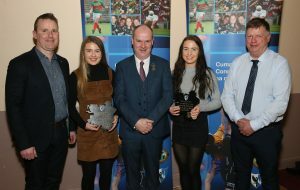 It was a chance for all to look back on what was a great year for Ladies Football in Connacht. 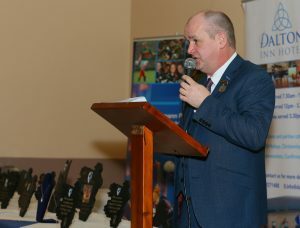 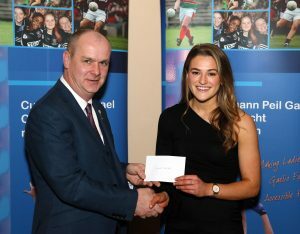 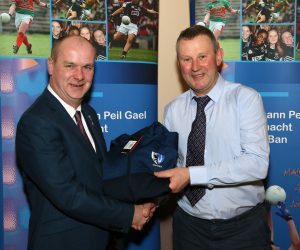 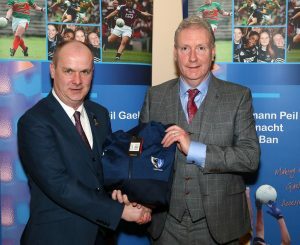 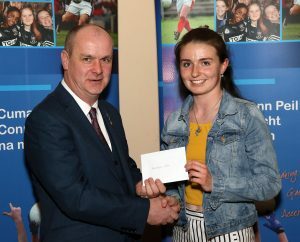 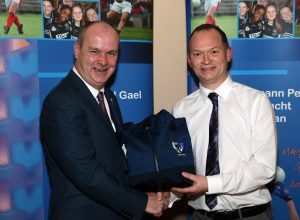 President of Connacht LGFA, Liam McDonagh, welcomed everyone to the awards night and said events like this were hugely important, to recognise the great year that was 2018. 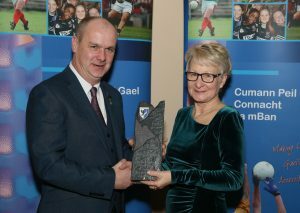 LGFA President Marie Hickey was special guest on the night and she said: “It was great to be invited back to Connacht for the awards night. 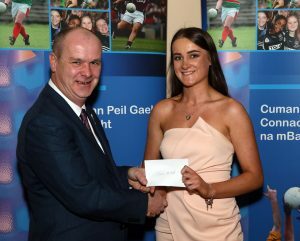 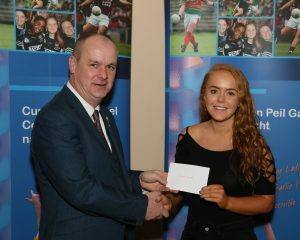 1 Young Player Of The Year – Chellene Trill (Galway). 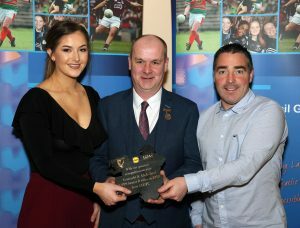 2 Acknowledgement Of Galway’s Sinéad Burke on winning a TG4 All Star award. 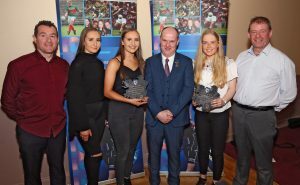 3 Galway’s All-Ireland U16 A and Minor A All-Ireland Champions in 2018. 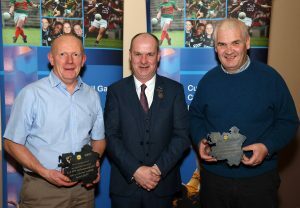 4 Mayo’s All-Ireland U14B and U16B All-Ireland Champions in 2018. 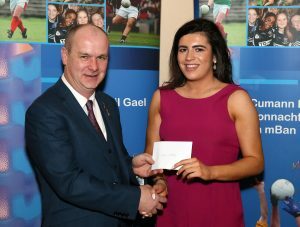 5 Coláiste Bhaile Chláir on winning the Lidl Senior C and Junior B All-Ireland Post-Primary School titles. 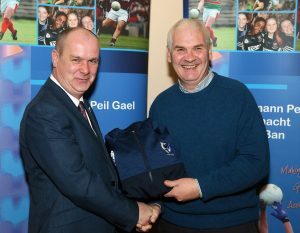 7 Thank you to Francie Keane and Gerry Carmody for their work with the Connacht PPS teams over a number of years. 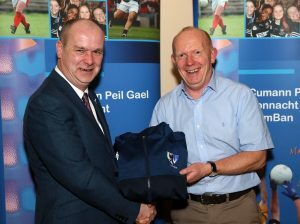 8 Thank you to the referees who took charge of Connacht Finals in 2018. 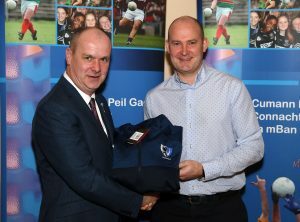 10 Thank you to journalist Darren Kelly for all of his help in promoting Ladies Football within Connacht. 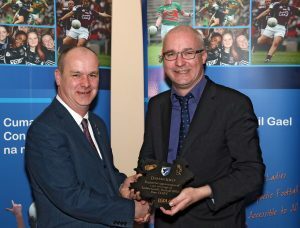 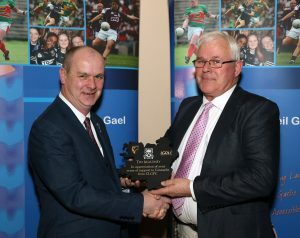 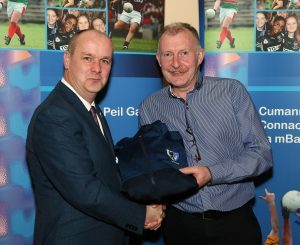 11 Thank you to Ted Maloney from Sligo for all the years of work on behalf of Connacht LGFA. 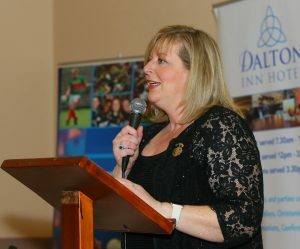 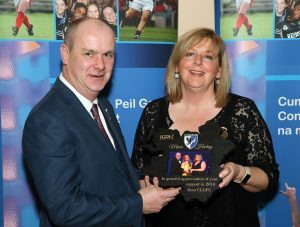 12 Hall Of Fame – The first inductee in the Connacht LGFA Hall of Fame is Roscommon’s Marie McAleer. 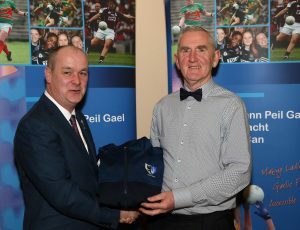 13 Liam McDonagh, Connacht LGFA President, presented LGFA President Marie Hickey with a token of appreciation from Connacht LGFA.